Looking for a compact crossover that delivers big? The 2017 Kia Sportage brings impressive performance, outstanding efficiency, and exceptional amenities to the road, delivering a high-quality driving experience the whole family will enjoy. 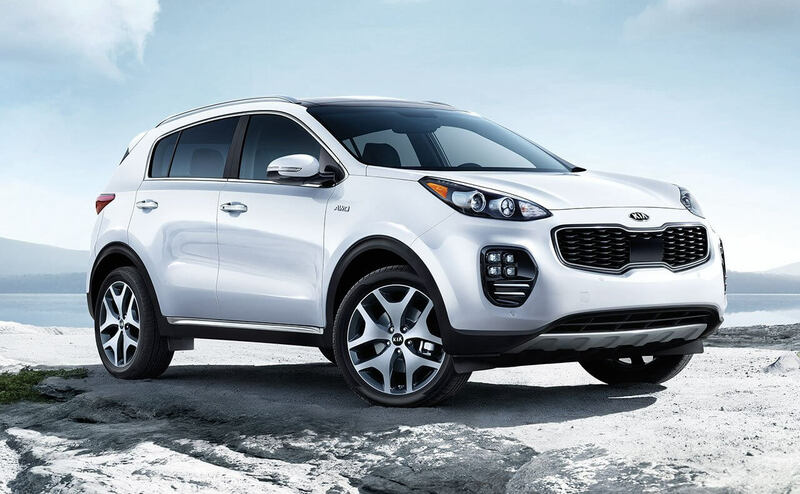 Drivers near Clinton Township, Macomb, and Detroit can see the Kia Sportage at Jeffrey Kia. Read on to learn more about this versatile crossover SUV—then stop in and see us to take it for a test drive! The Sportage lineup includes two engine options for 2017.Under the hoods of the Sportage LX and EX models is a 2.4L DOHC 16-valve I-4 engine that produces 181 hp and 175 lb-ft of torque. The Sportage SX Turbo trim is powered a turbocharged 2.0L DOHC 16-valve I-4 engine that delivers up to 240 hp and 260 lb-ft of torque. In terms of towing muscle, the Sportage can hitch on and pull behind up to 2,000 pounds when properly equipped—plenty of power to haul toys, trailers, and more. When it comes to fuel economy, Sportage models equipped with the 2.4L I-4 engine deliver EPA-estimated fuel economy of up to 23 mpg in the city and 30 mpg on the highway. Fuel economy achieved in the Sportage SX Turbo model, with its 2.0L turbocharged engine and an EPA-estimated 21 mpg in the city and 26 mpg on the highway. 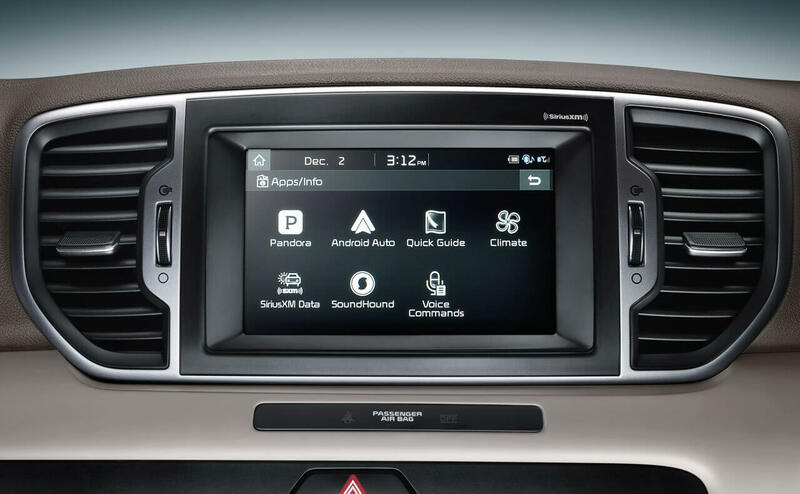 A variety of high-tech features are offered onboard the Kia Sportage, including a 7-inch color touchscreen with UVO eServices, Android Auto, and Apple CarPlay (standard in all but the base model).A Harman/Kardon Audio System is also available for the Sportage models, as is a navigation system with voice command and an 8-inch color touchscreens, SiriusXM Traffic, and HD Radio. State-of-the-art safety and driver-assist features offered for the Sportage lineup include a standard rear camera display, available Parking Assist with front and rear sensors, an available Blind-Spot Detection System with Lane-Change Assist, available Rear Cross-Traffic Alert, an available Lane Departure Warning System, and available Autonomous Emergency Braking. 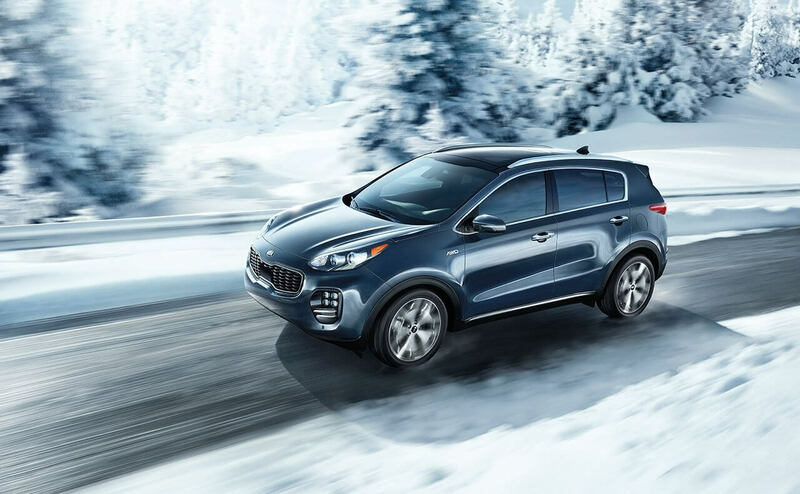 Contact us today to learn more about the Sportage, and hurry to a test drive!